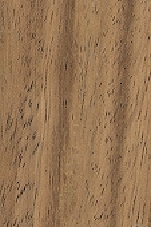 The sapwood is clearly distinct, varies from dirty yellow-white to light yellow-brown. The heartwood is light red-brown or deep pink when fresh, darkening to dark brown. It is slight interlocked, sometimes conspicuously wavy with interesting burl pattern. The texture varies from medium to occasionally coarse. 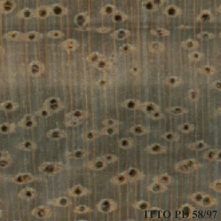 The wood surface is described as moderate in luster. It is moderately durable. It is readily attacked by blue staining fungi and it is susceptible to Lyctus, but it is resistant to dry wood termites. This species is reported to be impermeable. Ease of Drying: Drying is slow but without any real difficulty. Drying Defects: Slight cupping and shake are reported. It is somewhat prone to splitting, end checking and surface checking. Kiln Schedules: Schedule proposed for Kapur. Machining is reported to be good in green and air-dry condition.